Thank you for submitting your item for appraisal. 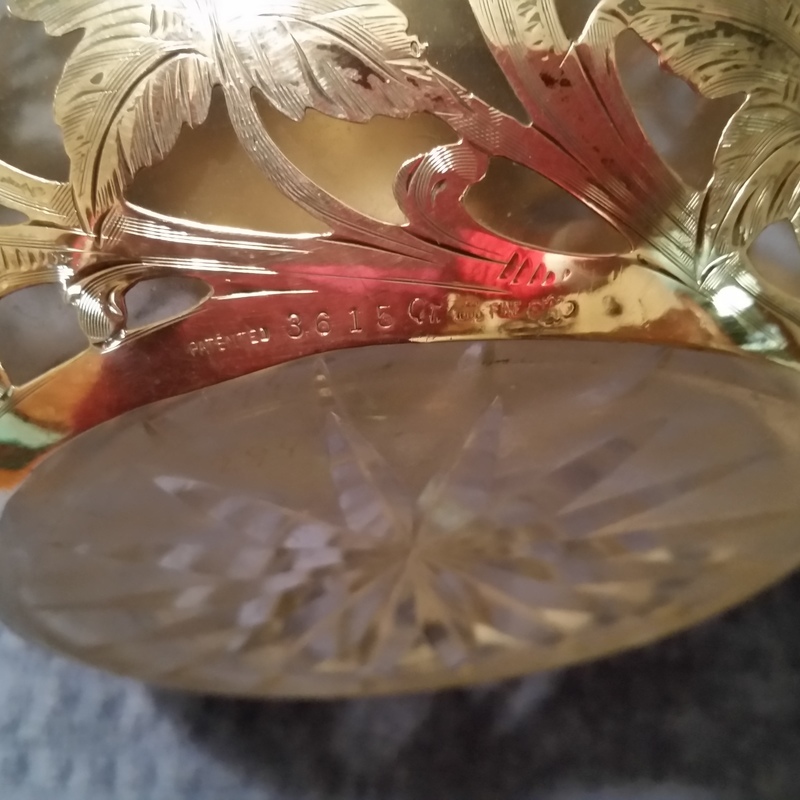 This appears to be an early 20th century american silver overlay decanter with stopper ( not on the photo), manufactured by Alvin Silver Co. ( later part of Gorham), pure silver 1000 fineness with a lovely floral engraving. The glass appears to be clear and unaffected of any corrosion which is so typical for older decanters. The estimate is based on similar items sold at auction. "Asking prices" in the trade are ususally double the high estimate or even higher. There is no measurement for the sentimental value you might attach to the item. but might want to sell them if everyone agrees. Antique asian cabinet with 5 drawers at top and double doors that open at bottom.